KB Home provides new homes to single-family in desired locations throughout Henderson and Las Vegas. It can help customers with new homes for sale whether they want to live in Red Rock Canyon Natural Conservation Area, Las Vegas Strip, and Henderson. Besides, they build homes keeping in mind Energy Plus standards. They feel satisfied when customers experience maximized services. They are committed to offer quality homes with great customer service. Their in-house team including over 25 architects as well as home designers who are dedicated in creating spacious, innovative and beautiful homes. 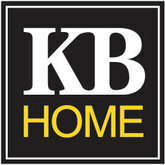 KB Home became the first big builder in country in November 2003.